← CHECK OUT THIS INFO ON OUR FACEBOOK PAGE!!! 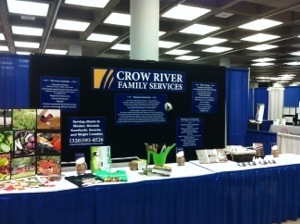 We are at the 17th Annual Minnesota Association for Children’s Mental Health Conference (MACMH) in Duluth, Minnesota. We are missing a couple teammates who were not able to attend the conference but look forward to another time when they can join us. We have enjoyed many great workshops so far and once again it is a wonderful conference imparting important information for participants. We hope to see you tomorrow when Kenny presents DIRT GROUP–Growing to Learn, Learning to Grow at 1:15 p.m. DIRT GROUP is an experiential social skills training group for youth experiencing significant impairments in social functioning as a direct result of a mental health disorder. Come learn about structure, theory base, implementation, and outcomes. The weather here has been anything but what we were hoping for this week but we all arrived safely. The forecast for tomorrow is a bit sketchy but when we return our onion plants should be waiting for us! Image | This entry was posted in education, garden, integrative health, mental health, social work and tagged education, mental health, Social work, youth. Bookmark the permalink.